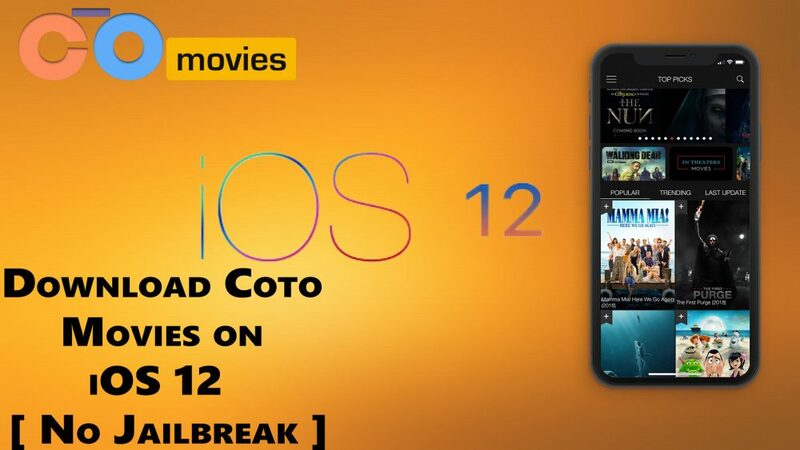 Download Coto Movies on iOS 12 – Hello guys, in this article, I’m going to show you how you can download Coto Movies on your iOS 12 or earlier devices. guys, Coto movies is an amazing entertainment app that allows you to watch the latest movies, Tv shows, and series free in full High Definition. As comparison Android users, iOS users have less number of such great movies apps and Coto movies is one them. if you are using movies app from a long time then obviously, you know about the Bobby movie app that changes now in ad Bobby Movie HD. And the developer of Bobby Movies has launched their new app called Coto Movies. The developer of Coto Movies has added more new incredible features in the app. guys if you have Android device too then also, you can download Coto Movies on your Android device. but in this article, I’m talking about the iOS device. so I’ll show you a method that let you download this amazing entertainment app. so first of all, I’ll show you its amazing features and then I’ll show the downloading method. You can watch all the movies for free. No need to jailbreak you can download it without jailbreak or root. You can watch live Tv shows on your device. If you don’t see the targeting movie on the home screen then you will have a search box to find your favorite movie. No need for human verification to download. No registration needed, No subscription is required, No registration fee. These are just a few features and you will know Coto Movies all features after using it. so now let’s go further and have a look at the downloading guide. don’t skip any step. To download this app you have to install TutuApp. so if you don’t have TutuApp then follow the guide below and this guide will help you to download TutuApp on your iOS device without jailbreak. On the website, you will see all the categories. Now go to the download and then click on the free apps. And then scroll all the way down then you will see TutuApp then click on it. also, you can download TutuApp VIP for free from there. When you click on the TutuApp icon then you will redirect on the next page. from where you can download TutuApp. So click on the downloading link then TutuApp will be download in just a few seconds. Now just go to the settings then general and then profile & device management and now click on the TutuApp’s developer profile and then click on the trust button then click on the confirm button. Now open the TutuApp and type Coto Movies in the search box. When you find it then click on the blue download icon. Follow the on-screen instruction to install Coto Movies on your iOS. Guys, Coto movies is also a third-party app. so you have verified this app by the same process that I’ve shown you above. So this how you can download Coto Movies. thank you guys for reading this article and being with us. hope you like this article and if you like this article then please don’t forget to share this post. also visit daily on this website for reading new and helpful articles.